The Level 3 Award in Nutrition for Sport and Exercise Performance course will provide you will detailed knowledge on nutrition for sports performance. 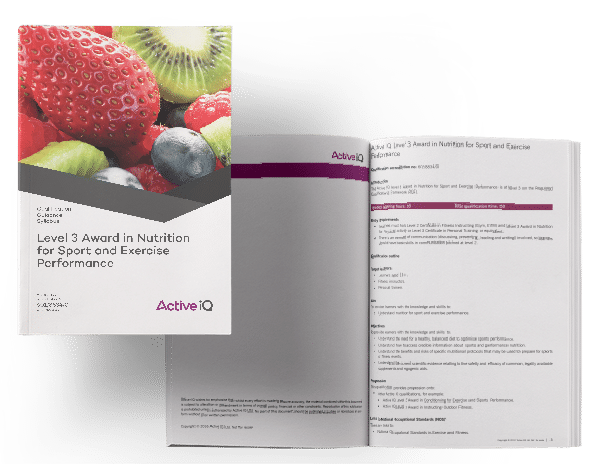 On completion of this course, you will understand how to use nutrition to optimise sports performance, covering areas such as the function of macro & micro-nutrients in exercise and recovery. Learners must hold a Level 2 Certificate in Fitness Instructing and Level 3 Award in Nutrition for Physical Activity or a Level 3 Certificate in Personal Training or equivalent.